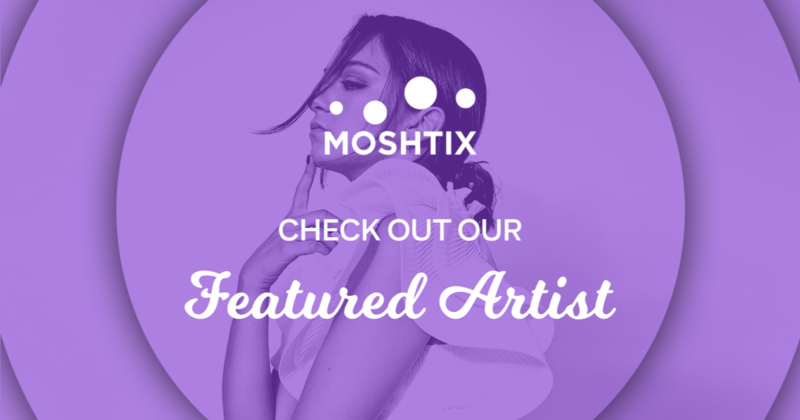 Chloe Papandrea aka CXLOE is a singer-songwriter hailing from Sydney with undeniable talent. Since her electric performance on stage at BIGSOUND last year, we've been keeping close tabs on this dark-pop sweetheart as she continues to go from strength to strength. Since the age of 16, Chloe has been back and forth between Australia and the US, working alongside a bunch of pretty huge acts. Most recently, she supported Maroon 5 on the Australian leg of their 'Red Pill, Blue Pill' tour... How awesome's that! We caught up with the rising star ahead of her 'I Can't Have Nice Things' tour this May to get the low down on a couple of things. P.S. If you haven't had the chance to see CXLOE perform I suggest you check her out in Sydney on Thursday 16 May at Oxford Art Factory or if you're in Melbourne she'll be playing at Howler Friday 17 May. You won't regret it! 1. What is the last track you played on Spotify? Little Things by Allie X! 2. What was the first gig/festival you ever attended? 3. How did you get into the music industry? years and years and years of emailing, sending demos, gigs and bluffing my way through things! 4. What's the first ever album you purchased? 5. What's your guilty pleasure song?